Ph.D. in Archaeology, Institute of Archaeology, U.C.L., London. (Title of thesis: Landscape Archaeology and the Investigation of Ancient Agricultural Field Systems in Palestine). Name of supervisor: Mr Peter J.Parr. B.A. (Hons.) 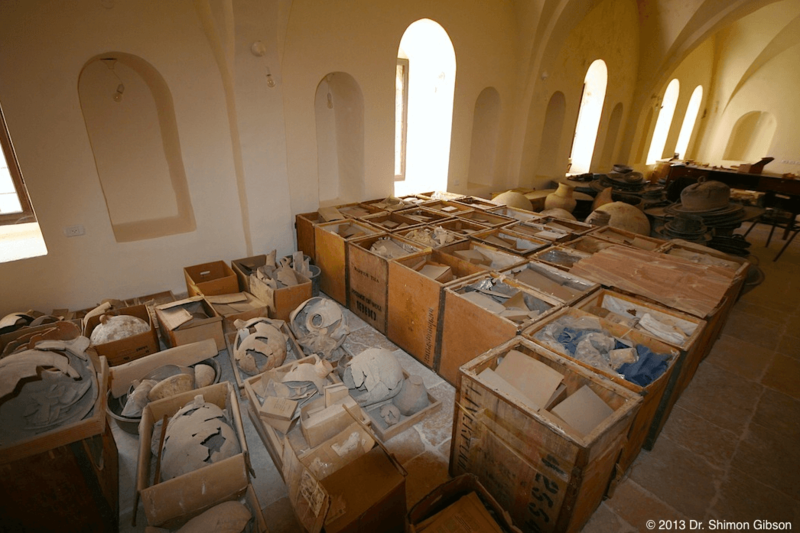 degree (Class 2.1) in the Archaeology of Western Asia, Institute of Archaeology, U.C.L. G.C.E., ‘O’ and ‘A’ Levels, University of London. The Final Days of Jesus: The Archaeological Evidence. Beneath the Church of the Holy Sepulchre, Jerusalem. The Archaeology and Early History of Traditional Golgotha (Palestine Exploration Fund Monograph, Series Maior 1), London, 1994. With J.E.Taylor. Below the Temple Mount in Jerusalem. Subterranean Chambers, Conduits and Cisterns of the Haram al-Sharif (B.A.R. Int. Series 637, Tempus Reperatum), Oxford, 1996. With D.M.Jacobson. Archaeological Encyclopedia of the Holy Land. New York and London, 2001. Continuum Publishing House. New York. With A.Negev. [French edition with new introduction: Dictionnaire Archéologique de la Bible. Paris, 2006]. Tourists, Travellers and Hotels in Nineteenth-Century Jerusalem. PEF Annual XI, Maney Publishing: Oxford. With Y. Shapira and R. L. Chapman III. The Illustrated Dictionary and Concordance of the Bible. General Editor (1986): G. Wigoder. Editor of New Edition (2005): S. Gibson. The Archaeology and History of the Church of the Redeemer and the Muristan in Jerusalem.Archaeopress: Oxford, 2016. With D. Vieweger. Eretz: The Geographical Magazine from Israel. 52 (May-June 1997). Issue dedicated to the Palestine Exploration Fund. Ancient Technology. Booklet No. II (IAA). Jerusalem, 1998. Edited with D.Amit. Tombs and Burial Customs in Northern Israel. Booklet No.III (IAA). Jerusalem, 1998. Edited with M. Aviam. Ramla: The Development of a Town from the Early Islamic to Ottoman Periods. Booklet No. IV (IAA). Jerusalem, 1999. Edited with F. Vitto. Review of N. Avigad, “Discovering Jerusalem”, in Bulletin of the Anglo-Israel Archaeological Society, 5 (1985-6): 74-76.
Review of Y. Hirshfeld, “Map of Herodium”, in Bulletin of the Anglo-Israel Archaeological Society, 7 (1987-8): 56-57.
Review of D.Urman, “The Golan”, in Institute of Archaeology Bulletin, 25 (1988): 87-88.
Review of A. Ben-Tor and Y.Portugali, “Tell Qiri: A Village in theJezreel Valley”, in PEQ 126 (1994): 72-73.
Review of J.Taylor, “High Above Jordan”, in PEQ 126 (1994): 86.
Review of H. Geva, “Jewish Quarter Excavations in the Old City of Jerusalem” (Vol. I), in BARJanuary/February 2003: 64-66.
Review of E. Mazar, “The Walls of the Temple Mount’ (2 vols), in BAR May/June 2013: 64-66. 1981–82: Director of an archaeological survey east of Tell el-Ful (remains from the Neolithic through to Ottoman periods). 1981: Director of the excavations at the site of Ras et-Tawil, north Jerusalem (Byzantine monastery, Hellenistic burial caves and Iron Age lime kiln). 1987-1989: Director of a project of Landscape Archaeology at Sataf, Israel comprising threee seasons of excavations and surveys. This project was designed to gather data on terrace systems for my Ph.D. research. Two seasons of work were undertaken during the spring and summer of 1987. (remains from the Chalcolithic and Early Bronze I to the Ottoman periods). 1987: Director of salvage excavations at Ras Amar, Jerusalem. This work was undertaken to gather data about the internal fills of terraces in a semi-arid environment. 1990: Post-excavation work on the finds from the Sataf excavations. 1994: Director of a project of Landscape Archaeology around Tell Dor (remains from the Chalcolithic/EBI, Persian, Hellenistic and Byzantine periods)..
1995-1997: Director of the Modi’in Landscape Archaeology Project: surveys in the Modi’in area and excavations in Givah C (1995); excavations in the Shimshoni zone, Route 15 and at Givah B (1996-97). 1998: Director of excavation at Sheikh Ubeid. 1999-2006: Director of excavations at “Cave of John the Baptist” at Suba (Belmont) and Ein Suba. 2006: Director excavation Chalcolithic remains at Modi’in. 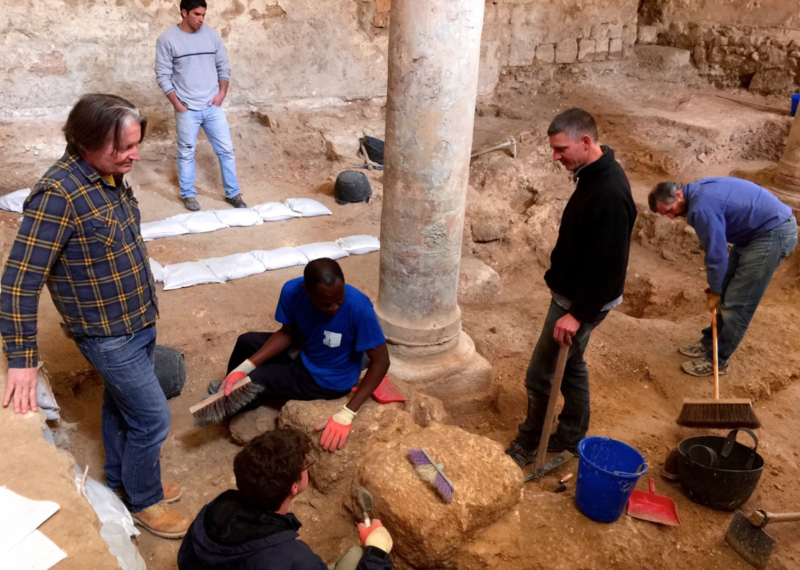 2015-2016: Director, UHL excavations in the Chapel of St Jerome, Church of the Nativity, Bethlehem. 1979: One season as co-director of the excavation of En Shadud (EB I site in the Jezreel Valley, Israel). With Dr E.Braun (Israel Department of Antiquities and Museums). 1982: Co-director of excavation of Herodian tunnel south of the Citadel in Jerusalem. 1982–83: Post-excavation work on finds from Magen Broshi’s Jerusalem Western City Wall excavations and the preparation of a report for publication. 1988 Final season of survey of Golan Byzantine Expedition devoted to applying methods of landscape archaeology to four Roman and Byzantine settlements with their field systems. With Dr C.Dauphin (CNRS, Paris). 1996-7: Co-director of excavations at Tell el-Ful (remains from the Middle Bronze IIB, Hellenistic, Early Roman and Early Islamic periods). With Z.Greenhut (IAA, Jerusalem). 1999-2001: Co-director of Jaba Village Ethnoarchaeological Research project. With Jamal Bargouth (Al-Quds University). 2003: Co-director of the Beit Jimal (Khirbet Jiljil) project. With A. Strus. 1972: Surveys of Umayyad farmsteads in southern desert near Arad. 1975–78: Assistant Archaeologist and Surveyor on the Mount Zion excavations in Jerusalem. This excavation took place continuously over three years. 1978–81: Assistant Archaeologist and Surveyor in more than ten excavation projects in Israel, including: Gilgal, Lower Jordan Valley (Neolithic); Ziqim, coastal plain (Neolithic); Beth Shean, Upper Jordan Valley (Roman); Khirbet Avot, Upper Galilee (Early Iron Age); Har Masuah, Judaean Hills (Early Bronze IV); Khirbet er-Ras, Rephaim Valley (Late Iron Age); and the Church of the Holy Sepulchre, Chapel of St Krikor (Late Iron Age, Roman,Byzantine and Medieval). 1983–85: Staff member for two seasons of excavations at the site of Yiftahel, Lower Galilee (Neolithic and Early Bronze Age), directed by Dr E.Braun. 1979–88: Staff member in the Golan Byzantine Expedition directed by Dr C.Dauphin. In charge of surveying, structural analysis and recording field systems. “Is the Bible true?” (BBC Greater London Radio panel discussion). 22 February 1990. In collaboration with Mrs S.Nemlich, Curator of the Archaeological Museum of Qasrin and with Dr C.Dauphin, permanent exhibition (since 1992) on “Ancient Agriculture in the Golan”. Presenter, documentary entitled “Unravelling the Shroud” (CTVC), ITV shown on 29th March 2002. Now distributed internationally by the Discovery Channel. 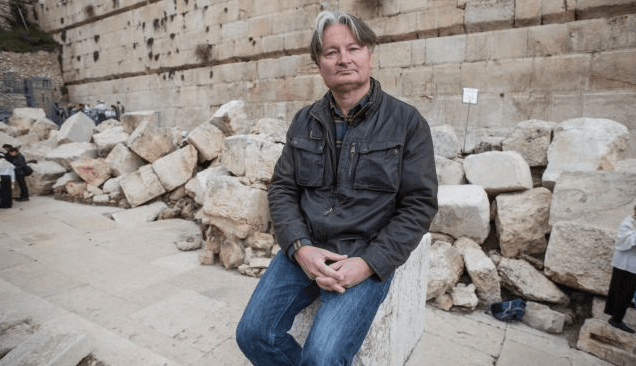 Presenter, programme entitled “John the Baptist: the Archaeology and History of the Forerunner” (CTVC), ITV and Discovery Channel (in preparation). Article for the English newspaper Daily Mail (25 March 2002, pages 28-29) entitled: “The man who could have seen Christ die”. Article for children entitled “How did they do it?” in DIG magazine Vol. 5 (Issue 2), March/April 2003. Interviews in television series for “Footsteps of Jesus”, MPH Entertainment Hollywood, for the History Channel, USA. Interviews in television programme “Tomb Raiders”, MPH Entertainment Hollywood, for the History Channel, USA. Albright Video Day: Archaeological Documentaries. Hosted by K. Galor and S. Gibson, 25 January 2004. Two-hour documentary “The Search for John the Baptist”, MPH Entertainment Hollywood, for the History Channel, USA. The Naked Archaeologist Series: “John the Baptist”, Associated Producers, Canada. “David and Solomon”, National Geographic, USA. Senior Research Fellow, W.F. Albright Institute of Archaeological Research (American Schools of Oriental Research), Jerusalem. 2002-2017. Professional Fellow, Center for Heritage Conservation, College of Architecture, Texas A&M University. 2009/2010. Post-Doctoral Fellow, W.F. Albright Institute of Archaeological Research (American Schools of Oriental Research), Jerusalem. 1996–2001. Wingate Scholarship for Ph.D. research. 1989–91. Major State Studentship of the British Academy. 1986–89. “A Byzantine Site at Ras et-Tawil”, Hadashot Arkheologiyot, 78-79 (1982): 59-60. “Ancient Jerusalem’s rural food basket”, Biblical Archaeology Review, 8 (1982): 46-54. “Ras et Tawil”, Excavations and Surveys in Israel 1982, 1(1982): 101-103. “An archaeological survey in north-east Jerusalem”, Hadashot Arkheologiyot, 78-79 (1982): 68. “Jerusalem surveys: north-east Jerusalem”, Excavations and Surveys in Israel 1982, 1(1982):9-60. “Neve Yaaqov: Late Hellenistic tombs”, Hadashot Arkheologiyot, 78- 79 (1982): 69. “Jerusalem: Neve Ya’aqov“, Excavations and Surveys in Israel 1982, 1 (1982): 57. “Ras et-Tawil”, Notes and News, Israel Exploration Journal, 32 (1982): 154-155. “Jerusalem (north-east) archaeological survey”, Notes and News, Israel Exploration Journal, 32 (1982): 156-157. “Food production and water storage in the Jerusalem region”, Qadmoniot, 61 (1983): 16-23. With G.Edelstein. “Two Iron Age tombs below the western city wall of the old city, Jerusalem, and the Talmudic law of purity”, Cathedra, 28 (1983): 17-32. With M.Broshi and G.Barkay. “The excavations of the western city wall of the old city of Jerusalem”, Moreshet Derech 3 (1983): 49-50. “The stone vessel industry at Hizma”, Israel Exploration Journal, 33 (1983): 176-188. “Jerusalem: drainage tunnel south of the Citadel”, Hadashot Arkheologiyot, 82 (1983): 49-50. “Jerusalem: the Citadel”, Excavations and Surveys in Israel, 2 (1983): 52. “Lime kilns in north-east Jerusalem”, Palestine Exploration Quarterly, 116 (1984): 94-102. “An Early Bronze I farming community in the Jezreel valley”, Bulletin of the American Schools of Oriental Research, 253 (1984): 29-40. With E.Braun. “Ancient Jerusalem’s rural landscape”, Bulletin of the Anglo-Israel Archaeological Society, 3 (1983-4): 30-35. “Investigating Jerusalem’s rural landscape”, Levant, 17 (1985): 139-155. With G.Edelstein. Untitled contributions in Braun, E. (ed. ), En Shadud: An Early Bronze I farming community(BAR), Oxford, 1985. “The society for the archaeological survey of Israel”, Bulletin of the Anglo-Israel Archaeological Society, 5 (1985-6): 10-12. “Ras et Tawil: a Byzantine monastery north of Jerusalem”, Bulletin of the Anglo-Israel Archaeological Society, 5 (1985-6): 69-73. Various contributions in Pritchard, J.B. (ed. ), The Times Atlas of the Bible (London, 1987). Spreads on pages 58-59, 60-61, 64-65, 82-83, 101-103, and 124-125. “Sataf”, Bulletin of the Anglo-Israel Archaeological Society, 6 (1986-7): 64-65. “Sataf in the Judaean Hills”, Palestine Exploration Quarterly, 119 (1987): 161. “The 1961-67 excavations in the Armenian Garden, Jerusalem”, Palestine Exploration Quarterly, 119 (1987): 81-97. “Sataf: landscape archaeology near Jerusalem”, Bulletin of the Anglo-Israel Archaeological Society, 7 (1987-8): 65-66. “Ras ‘Amar, 1987”, Notes and News, Israel Exploration Journal, 38 (1988): 80-82. “Ras Amar”, Excavations and Surveys in Israel, 7-8 (1988-9): 154-5. “Sataf-1987”, Excavations and Surveys in Israel, 7-8 (1988-9): 161-2. “Ras ‘Amar”, Hadashot Arkheologiyot, 93 (1989): 79-80. “Sataf-1987”, Hadashot Arkheologiyot, 93 (1989): 82-83. “Sataf: landscape archaeology near Jerusalem”, in Winser, N.S. (ed. ), Expedition Yearbook 1988(Expedition Advisory Centre, London, 1989), 173-4. “Sataf: a project of landscape archaeology in the Judaean Hills”, British Association For Near Eastern Archaeology Newsletter, 2 (1989): 12-13. “Sataf-1988”, Hadashot Arkheologiyot, 94 (1989): 49-50. “Sataf in the Judaean Hills”, Palestine Exploration Quarterly, 121 (1989): 158. “Sataf-1988”, Excavations and Surveys in Israel, 9 (1989-90): 58-9. “Landscape archaeology at Er-Ramthaniyye”, in Fiches, J-L and Van der Leeuw, S. (eds. ), Archeologie et Espaces (Xemes Rencontres Internationales D’Archeologie et D’Histoire D’Antibes, 1990). With C.Dauphin. “Sataf, 1988”, Notes and News, Israel Exploration Journal, 40 (1990): 223- 226. “Sataf: an archaeological project of landscape and environment in the Judaean Hills”, Qadmoniot,23 (1990): 97-103. With A.Kloner. “Three coins of Alexander Jannaeus from El-‘Al in the Golan Heights”, Bulletin of the Anglo-Israel Archaeological Society, 10 (1990-1): 67-72. With D.Urman. “The Sataf project of landscape archaeology in the Judaean Hills: a preliminary report on four seasons of survey and excavation (1987-89)”, Levant, 23 (1991): 29-54. With B.Ibbs and A.Kloner. “Sataf-1989”, Hadashot Arkheologiyot, 96 (1991): 23. “Sataf-1989”, Excavations and Surveys in Israel 10 (1991): 27-28. “Tell el-Hesi and the camera: the photographs of Petrie and Bliss”, Palestine Exploration Quarterly, 122 (1991): 114-132. With T.Rajak. “Golan Survey, 1988”, Israel Exploration Journal, 41 (1991): 176-9. With C.Dauphin. “The Jerusalem ship”, Palestine Exploration Quarterly, 123 (1991): 81-2. “Photographic archive”, Palestine Exploration Quarterly, 123 (1991): 82. “Photographic archive”, Palestine Exploration Quarterly, 124 (1992): 3, 89. “The Tell Sandahannah ship graffito reconsidered”, Palestine Exploration Quarterly, 124 (1992): 26-30. “The C.N.Johns archive”, Palestine Exploration Quarterly, 125 (1993): 93. “Photographic archive”, Palestine Exploration Quarterly, 125 (1993): 93-4. “Ancient settlements in their landscapes: the results of ten years of survey (1978-88)”, Bulletin ofthe Anglo–Israel Archaeological Society, 12 (1992-3): 7-31. With C.Dauphin. “Excavations along the western and southern walls of the Old City of Jerusalem”, in H.Geva (ed.) Ancient Jerusalem Revealed, Jerusalem, 1994. 147-155. With M.Broshi. “Exploring ancient settlements and landscapes in the Golan”, Cathedra 73 (1994): 3-25. With C.Dauphin. “The oldest datable chambers on the Temple Mount”, Biblical Archaeologist 57 (1994): 150-160. With D.Jacobson. The Tell ej-Judeideh (Tel Goded) excavations: a re-appraisal based on archival records in the Palestine Exploration Fund, Tel Aviv 21 (1994): 194-234. “Abraham’s Oak of Mamre: the Story of a Venerable Tree”, Palestine Exploration Quarterly 126 (1995): 94-105. “A monumental stairway on the Temple Mount”, Israel Exploration Journal, 45 (1995): 162-170. With D.Jacobson. “The Mediterranean Hotel in nineteenth century Jerusalem”, Palestine Exploration Quarterly, 127 (1995): 93-105. With R.Chapman. Various contributions to a Guide to Sites in Jordan, published by Ariel publishing house, Jerusalem, 1995. “The Byzantine City of Dor/Dora Discovered”, Bulletin of the Anglo-Israel Archaeological Society 14 (1994-5): 9-38. With C.Dauphin. “Hanauer and the Palestine Exploration Fund”, Ariel 112-113 (1996): 119 (Hebrew). “A Note on T.E.Lawrence as Photographer in the Wilderness of Zin”, Palestine Exploration Quarterly 128 (1996): 94-102. With R.Chapman. “Tell el-Ful and the Results of the Northeastern Archaeological Survey”, pp.9*-23*, in A.Faust (ed. ), New Studies on Jerusalem: Proceedings of the Second Conference, Bar Ilan University, 1996, Ramat Gan. “The Original Form of Barclay’s Gate”. PEQ 129 (1997): 138-149. With D.M.Jacobson. “Officers and Gentlemen”. Eretz 52 (1997): 19-25. “The Holy Land in the Sights of Explorers’ Cameras”. Pp. 235-248 in Y.Ben-Arieh and M.Davis (eds. ), Jerusalem in the Mind of the Western World, 1800-1948. With Eyes Toward Zion – V. 1997. Westport, Connecticut, London. “Conrad Schick and the Palestine Exploration Fund”. Ariel 130-131 (1998): 64-68 (Hebrew). “The “Jewish-Christian” Tomb from the Mount of Offence”. Revue Biblique 105 (1998): 161-175. With G.Avni. “The Modi’in Excavation Project – Introduction”. Hadashot Arkheologiyot 108 (1998): 94-95 (Hebrew). “Shimshoni, F128”, Hadashot Arkheologiyot 108: 116 (Hebrew). “Water Cisterns”. Pp. 16-19 in S.Gibson and D.Amit (eds.) Water Installations in Antiquity. Booket No I , 1998 (IAA). “Irrigation Agriculture in the Central Highlands”. Pp. 36-38 in S.Gibson and D.Amit (eds.) Water Installations in Antiquity. 1998. Booket No I (IAA). “Lime Kilns in North-east Jerusalem and in the Modi’in Region”. Pp.18-19 in S.Gibson and D.Amit (eds.) Ancient Technology. 1998. Booklet No. II (IAA). “Charcoal Burners: A General Introduction”. Pp. 20-22 in S.Gibson and D.Amit (eds.) Ancient Technology. 1998. Booklet No. II (IAA). “An Unknown Church with Inscriptions from the Byzantine Period at Khirbet Makkus near Julis”, Liber Annuus XLVIII (1998): 315-334. With F.Vitto and L.Di Segni. “British Archaeological Institutions in Mandatory Palestine, 1917-1948”. Palestine Exploration Quarterly 131 (July-December, 1999), pp.115-143. “Landscape Archaeology and Salvage Excavations in Modi’in”, ASOR Newsletter 49 (1999) (1): 16-17. “Jaba’ Village Ethnoarchaeological Research Project”, ”, Council for British Research News Jerusalem, 2 (2000), p.6. With J.Bargouth. “Modi’in – A Project of Landscape Archaeology”, Proceedings of the Twenty-Sixth Archaeological Conference in Israel, 2000, Jerusalem. P.18. “Conrad Schick (1822-1901), the Palestine Exploration Fund and an ‘Archaic Hebrew’ Inscription from Jerusalem”. Palestine Exploration Quarterly 132 (July-December), 2000: 113-122. “The Archaeological Setting and the Surrounding Landscape” Chapter 2 in R.P.Harper and D.Pringle, Belmont Castle: The Excavation of a Crusader Stronghold in the Kingdom of Jerusalem. CBRL: Oxford, 2000, 21-32. With S.Dar and J.Clarke. “Agricultural Terraces and Settlement Expansion in the Highlands of Early Iron Age Palestine: Is There Any Correlation Between the Two?” Chapter 4 in A.Mazar (ed.) 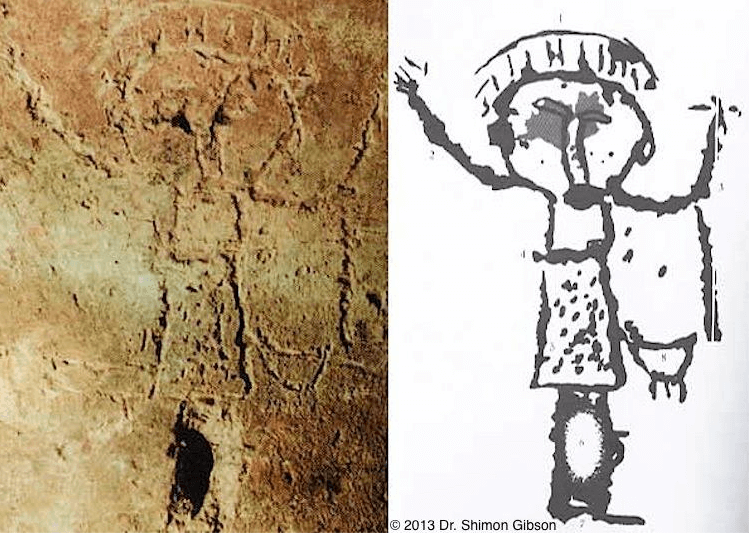 Studies in the Archaeology of the Iron Age in Israel and Jordan. Sheffield Academic Press, 2001, 113-146. “More Light on the Cave of John the Baptist”, Research Report in CBRL 2001: Newsletter of the Council for British Research in the Levant. Pp.22-23. “Jaba’ Village Ethnoarchaeological Research Project”, Research Report in CBRL 2001: Newsletter of the Council for British Research in the Levant. Pp.24-25. With J.Bargouth. “Sataf”, Hadashot Arkheologiyot (Excavations and Surveys in Israel) 112 (2001): 88*-89*, pp.109-111 (Hebrew and English). “Archaeology of the Landscape and Environment: Reconstructing the Ancient Landscape Based on Archaeology.”, Ariel 147-148 (2001), pp. 32-44 (Hebrew). “The Ordnance Survey and the Palestine Exploration Fund”, in A.Tishbi (ed. ), Holy Land in Maps, Israel Museum Catalogue No. 459 (2001), pp. 158-159. “The Expedition of Woolley and Lawrence ‘of Arabia’ in the Negev”, Ariel 152-153 (2002), pp. 93-98 (Hebrew). “The Holy Oak and Olive Trees of Tel Suba”, Teva ha’Devarim 81 (2002): 52-55 (Hebrew). “From Wildscape to Landscape: Landscape Archaeology in the Southern Levant – Methods and Practice”. Pp. 1-25 in A.M.Maeir, S.Dar and Z.Safrai (eds. ), The Rural Landscape of Ancient Israel. (BAR Int. Series 1121, Oxford, 2003). “Stone Vessels of the Early Roman Period from Jerusalem and Palestine. A Reassessment”. Pp. 287-308 in: G. Claudio Bottini, L. Di Segni and L. D. Chrupcala (eds. ), One Land – Many Cultures: Archaeological Studies in Honour of S. Loffreda.. (Franciscan Printing Press: 2003) Jerusalem. “A Brief Note on a Visit Made to El-Auja (Nessana) by E.H.Palmer and C.F.Tyrwhitt-Drake in February 1870”, in Urman, D. (ed.) Nessana: Excavations and Studies. Vol. I (2004): 243*-248* (Ben-Gurion University of the Negev Press: Beersheba). “The James Ossuary: A Lost Cause”, Biblical Archaeology Review Nov/Dec 30 (6) 2004: 55-59. “The Search for Ancient Modi’in: From Khirbet el Midya to Horvat Titura”, in E. Eisenmann et al. (eds. ), Proceedings of the Second Annual Conference on Modi’in (2005), p.10. “Jewish Purification Practices and the Bethesda Pools in Jerusalem”, Proche-Orient Chrétien 55 (2005): 270-293. “New Excavations at Khirbet el-Jiljil (Bet Gemal) Near Beth Shemesh”, Bulletin of the Anglo-Israel Archaeological Society 23 (2005): 29-89. With A. Strus. “The Chalcolithic in the Central Highlands of Palestine: A Reassessment Based on a New Examination of Khirbet es-Sauma’a”, Levant 38 (2006): 85-108. With Y.M. Rowan. “Time and Space: Archaeological Landscapes at Qumran”, in J. Gunneweg, C. Greenblatt and A. Adrianes (eds. ), Bio- and Material Culture at Qumran. Stuttgart 2006: 201. 190 essays written on a wide range of subjects for the new edition of the Encyclopedia Judaica. Macmillans (NY). 2007. “The Yh(d) ‘Latin F’ Shaped Monogram: Epigraphy and Dating”, Tel Aviv Journal 2007. With G. Finkielsztejn. “Greek Inscriptions from Khirbet el-Jiljil and Beit Jimal and the Identification of Caphar Gamala”, BAIAS 25, 2008, pp. 117-145. with L. Di Segni. “Roads and Passes Around Qumran”, PEQ 140, 2008, pp. 225-227. with J.E.Taylor. 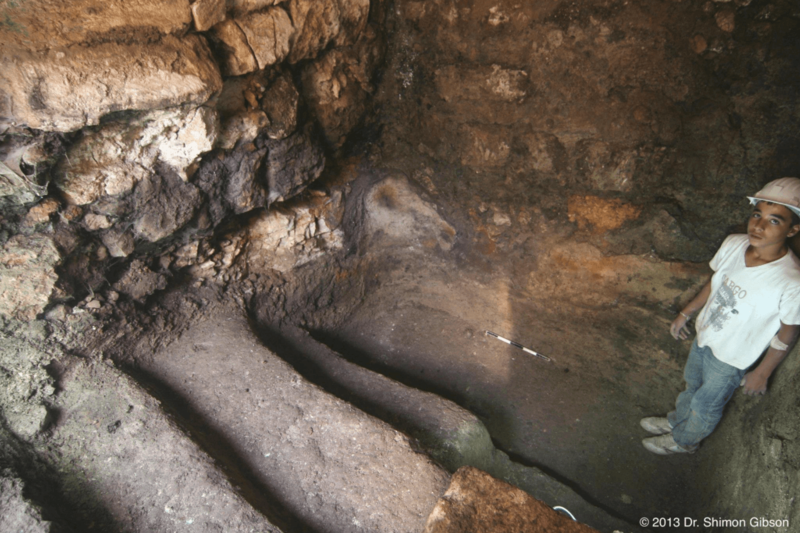 “The Bethesda Pool in Jerusalem: A New Investigation of Old Excavations”, in E. Baruch et al. (eds.) New Studies on Jerusalem, Vol. 14, 2008, pp. 22*-29*, Bar Ilan University, Ramat Gan. “Mysteries of Faith: The Final Days of Jesus,” US News & World Report Special Edition, 2009, pp. 10-15. “The Palestine Exploration Fund and the Search for the ‘City of David'”, in E. Meiron (ed.) City of David: Studies of Ancient Jerusalem, Vol. 4, 2009, pp. 45*-61*, Megalim: Jerusalem. “Two Wine Presses at Ras et-Tawil (Pisgat Ze’ev) in North Jerusalem”, Chapter 47 in E. Ayalon et al. (eds. ), Oil and Wine Presses in Israel from the Hellenistic, Roman and Byzantine Periods. BAR International Series 1972, Oxford, 2009, pp. 271-276. “The Suba Water System as a Clay-Production Plant in the Iron Age II”, Eretz-Israel: Archaeological, Historical and Geographical Studies (Stern Volume), 29, 2009, Jerusalem, pp. 45*-56*. “The Archaeology of Jesus in Jerusalem”, Loy H. Witherspoon Lecture Booklet in Religious Studies, the University of North Carolina at Charlotte, 2009. “New Excavations on Mount Zion in Jerusalem and an Inscribed Stone Cup/Mug from the Second Temple Period”, in D. Amit et al.(eds. ), New Studies in the Archaeology of Jerusalem and its Region, 2010, Vol. 4, pp. 32*-43*, IAA: Jerusalem. “British Archaeological Research in Jerusalem”, pp. 383-401 in I. Bartal and H. Goren (eds. ), The History of Jerusalem: The Late Ottoman Period (1800-1917). 2010. Yad Ben-Zvi: Jerusalem. “Qumran Connected: The Qumran Pass and Paths of the North-Western Dead Sea”, Pp 163–209 in Jörg Frey, Carsten Claussen and Nadine Kessler (eds. ), Qumran un die Archäologie. 2011 Wissenschaftliche Untersuchungen zum Neuen Testament series, Mohr Siebeck: Tübingen. With J. E. Taylor. “British Archaeological Work in Jerusalem between 1865-1967: An Assessment” pp. 23-57 in Katharina Galor and Gideon Avni (eds), Unearthing Jerusalem: 150 Years of Archaeological Research in the Holy City. Winona Lake: Eisenbrauns 2011. “The Trial of Jesus at the Jerusalem Praetorium: New Archaeological Evidence,” pp. 97-118 in C.A. Evans (ed. ), The World of Jesus and the Early Church: Identity and Interpretation in Early Communities of Faith. Peabody: Hendrickson 2011. “The Excavations at the Bethesda Pool in Jerusalem: Preliminary Report on a Project of Stratigraphic and Structural Analysis”, pp. 17-44 in F. Bouwen (ed. ), Sainte-Anne de Jérusalem. La Piscine Probatiquen de Jésus À Saladin. Proche-Orient Chrétien Numéro Spécial. 2011, Saint Anne: Jerusalem. “The Sataf Project of Landscape Archaeology in the Judaean Hills (1987-89),” in Bulletin of the Council for British Research in the Levant 7 (2012): 69-70. “A Note on an Iron Age Four-Horned Altar from Tel Dothan,” PEQ 134/4 (2013), 306-319. With T. Kennedy and J. Kramer. “The Talpiot Tomb Reconsidered: The Archaeological Facts,” in James Charlesworth (ed. ), The Tomb of Jesus and His Family? Exploring Ancient Jewish Tombs Near Jerusalem’s Walls. 2013 Grand Rapids: Eerdmans. With Amos Kloner. “The Palestine Exploration Fund”, in E. Schiller and G. Barkay (eds. ), In the Footsteps of the First Explorers of Eretz Israel. Ariel 202, 2013, pp. 37-52 (Hebrew). 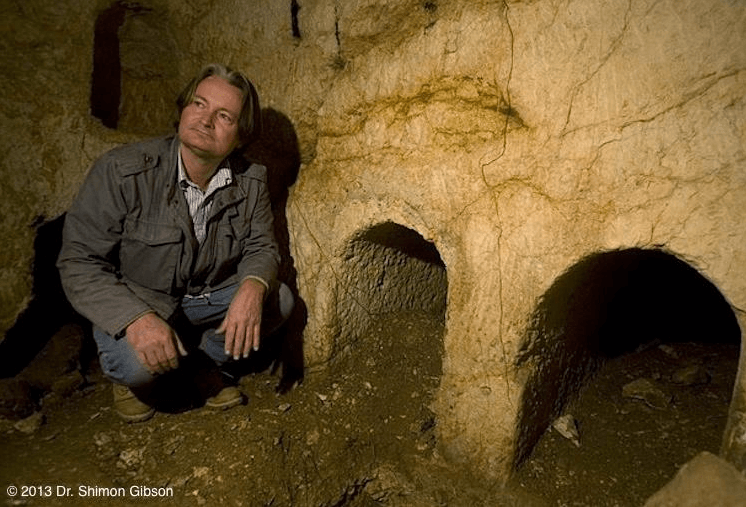 “Charles Warren’s Kidron Valley Tunnels, Bir Ayyub, and the Location of Biblical En Rogel”, 351-393 in E. van der Steen, J. Boertien, and N. Mulder-Hymans (eds. ), Exploring the Narrative. Jerusalem and Jordan in the Bronze and Iron Ages. 2014. Bloomsbury: London. “A Visitor at Samaria and Sebaste’, 61-72 in B. Wagemakers (ed. ), Archaeology in the Land of ‘Tells and Ruins’, 2014. Oxbow Books: Oxford. “Water to Jerusalem; the Route and Date of the Upper and Lower Level Aqueducts”, pp. 9-41 in C. Ohlig and T. Tsuk (eds. ), Cura Aquarum in Israel II: Water in Antiquity. Proceedings of the 15th International Conference on the History of Water Management and Hydraulic Engineering in the Mediterranean Region, Israel 14-20 October 2012. DWhG: Siegburg. 2014. “The Pilaster Enclosure Wall of the Temple Mount in Jerusalem”, pp. 17*39* in E. Baruch and A. Faust (eds. ), New Studies on Jerusalem Vol. 20, Ramat-Gan, 2014. “The Archaeology of Agricultural Terraces in the Mediterranean Zone of the Southern Levant and the Use of the Optically Stimulated Luminescence Dating Method,” in Lucke, B., Bäumler, R., Schmidt, M. (eds. ), Soils and Sediments as Archives of Environmental Change. Geoarchaeology and Landscape Change in the Subtropics and Tropics. Erlanger Geographische Arbeiten Band 42 (2015): 295–314. 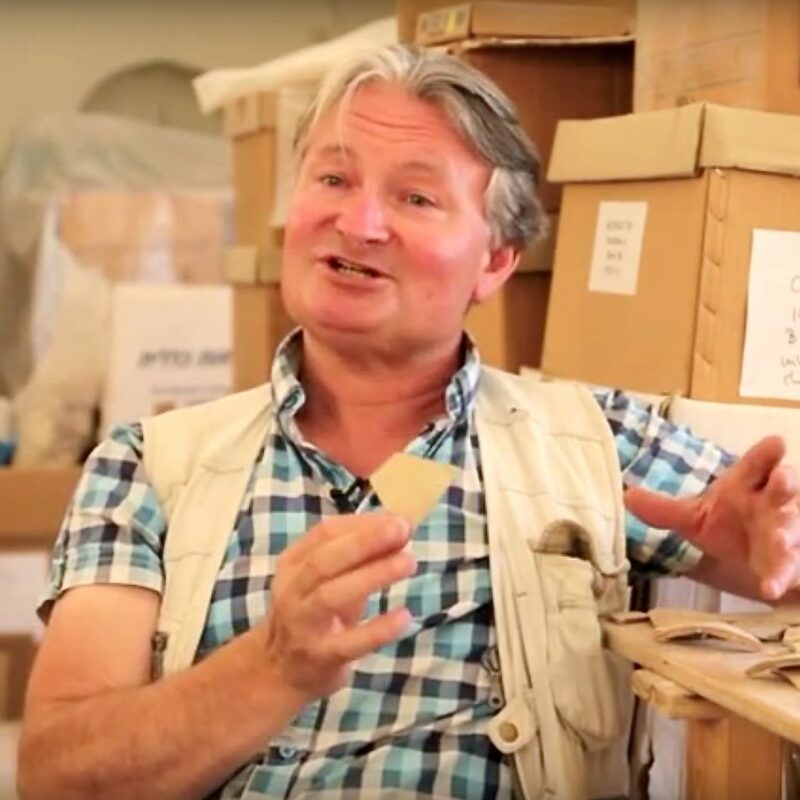 “The Disputed Legacy of R. A. S. Macalister’s Archaeological Explorations in Palestine,” pp. 24-41 in S. R. Wolff (ed. ), Villain or Visionary? 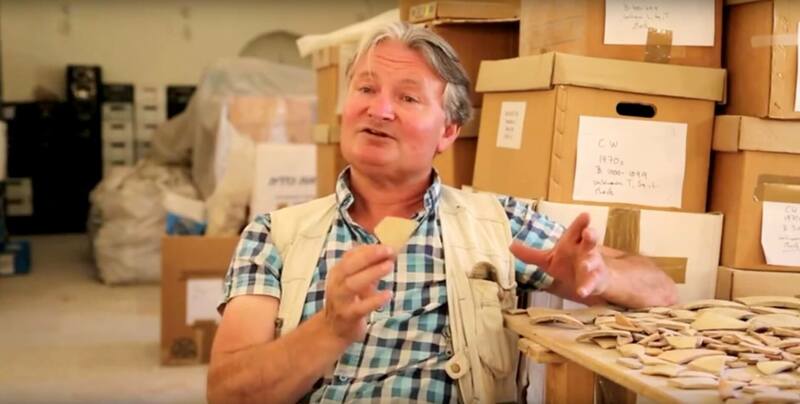 R. A. S. Macalister and the Archaeology of Palestine. PEF Annual Vol. 12, 2015. “Chapter 9: Soft Limestone Vessels”, pp. 49-81 in D. Syon (ed. ), Gamla III. The Shmarya Gutmann Excavations, 1976-1989. Finds and Studies. Part 2. IAA Reports 59, 2016. Jerusalem. “The Crusader Church Beneath the Church of the Redeemer in Nineteenth-Century Historic Photographs,” pp. 43-91 in D. Vieweger and S. Gibson (eds), The Archaeology and History of the Church of the Redeemer and the Muristan in Jerusalem. Archaeopress: Oxford, 2016. “The Date of the Pilaster Wall in the Chapel of Alexander Nevsky”, pp. 177-188 in D. Vieweger and S. Gibson (eds), The Archaeology and History of the Church of the Redeemer and the Muristan in Jerusalem. Archaeopress: Oxford, 2016. “New Finds from the 11th to 13th Centuries Along the Southern Old City Wall of Mount Zion”, pp. *39-*55 in G. Steibel, J. Uziel, K. Cytryn-Silverman, A. Re’em and Y. Gadot (eds. 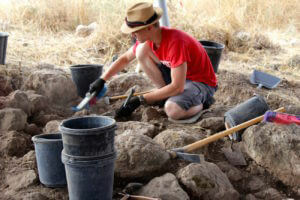 ), New Studies in the Archaeology of Jerusalem and its Region. Collected Papers. Vol. 10, Jerusalem, 2016. With R. Y. Lewis and J. Tabor. “On Determining the Date of Agricultural Terracing Around Jerusalem,” pp. 281-301 in E. Baruch and A. Faust (eds. 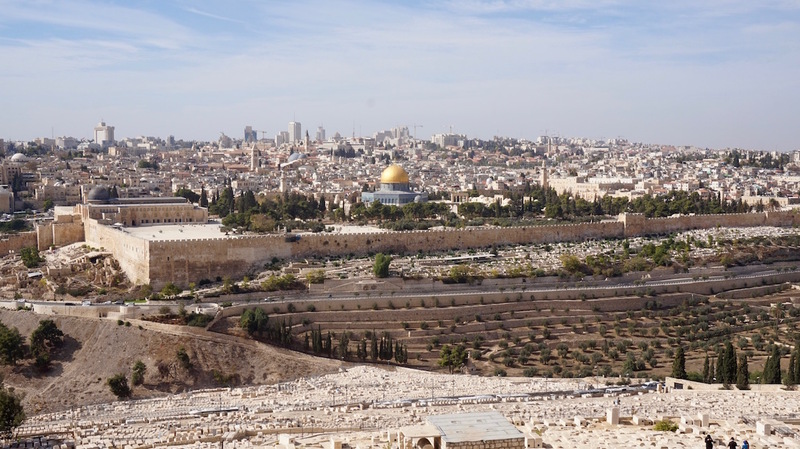 ), New Studies on Jerusalem. Vol. 22. Ramat-Gan (Hebrew), 2017. With R. Y. Lewis.